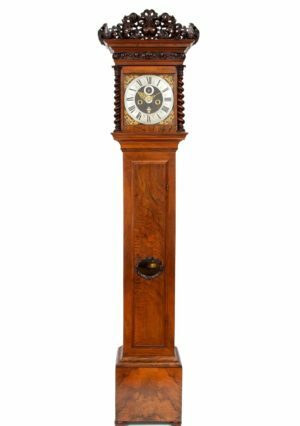 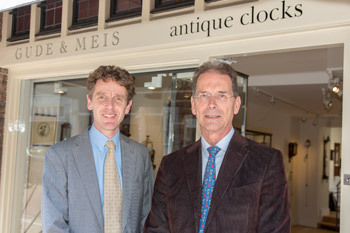 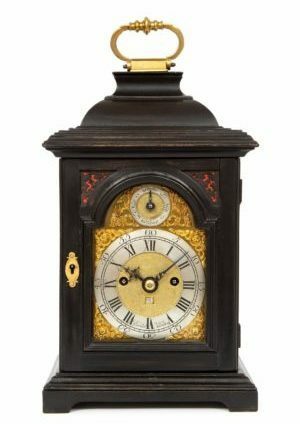 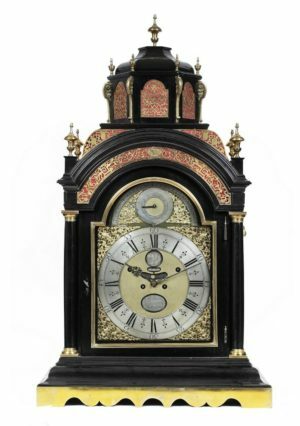 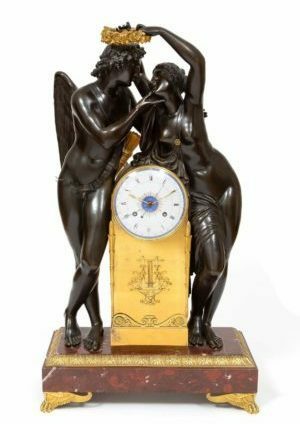 Lars Gude and Jos Meis have turned their passion for antique clocks into their profession. 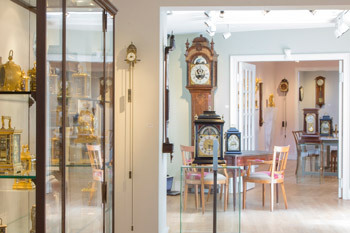 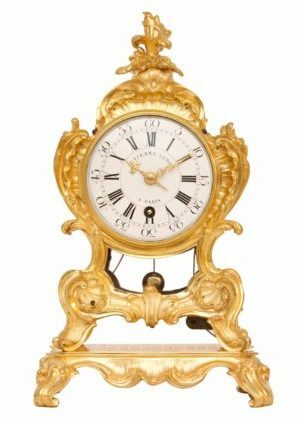 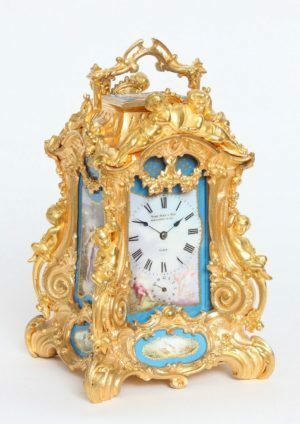 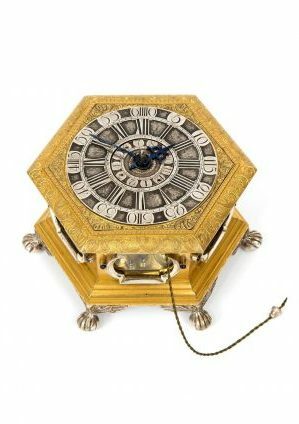 This resulted into a fine collection of rare antique clocks that represent their knowledge and taste. 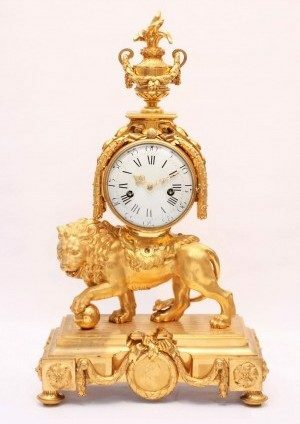 High quality and authenticity are of utmost importance tot them. 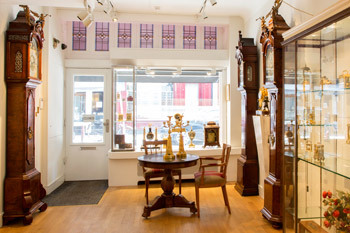 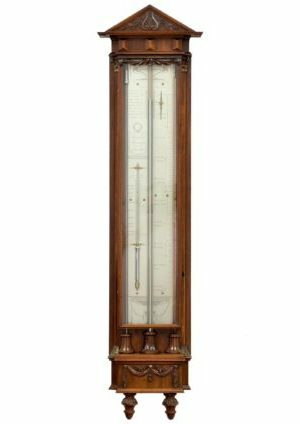 Besides clocks they sell barometers and mechanical music boxes. 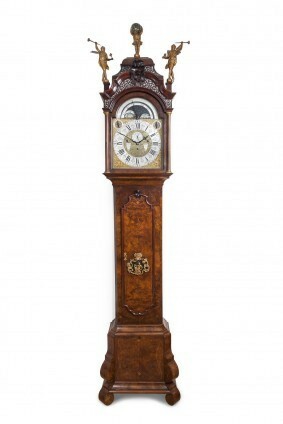 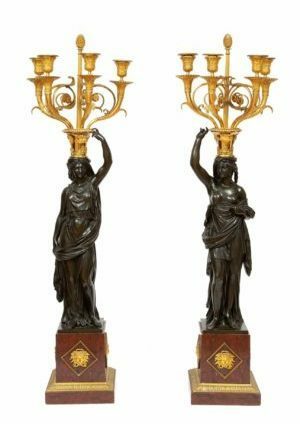 Because of the wide variety in the stock there is always an object for the collector or the less experienced buyer. 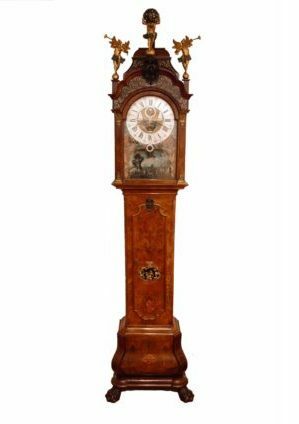 A fine Dutch burr walnut ‘Amsterdam’ longcase clock with ships automaton, du Chesne, circa 1760.